7 Super Shots from What an Amazing World! | What an Amazing World! 7 Super Shots from What an Amazing World! I was so intrigued after reading an article which says that Mount Bromo is one of Indonesia’s most iconic places that describes very well the life in the archipelago which is closely related to volcanoes and volcanic activities. But not until last December that I visited Mount Bromo to witness myself the beauty of this volcano and its surrounding. After waking up at 3 am, riding on a local people’s Jeep and making a short hike to the viewpoint, a breathtaking sight stunned my sleepy eyes and made me stay there longer than I previously planned. Some animals are just too cute. That’s my conclusion after visiting the Sacred Monkey Forest at Ubud, Bali where long-tailed macaques roam freely amidst visitors. 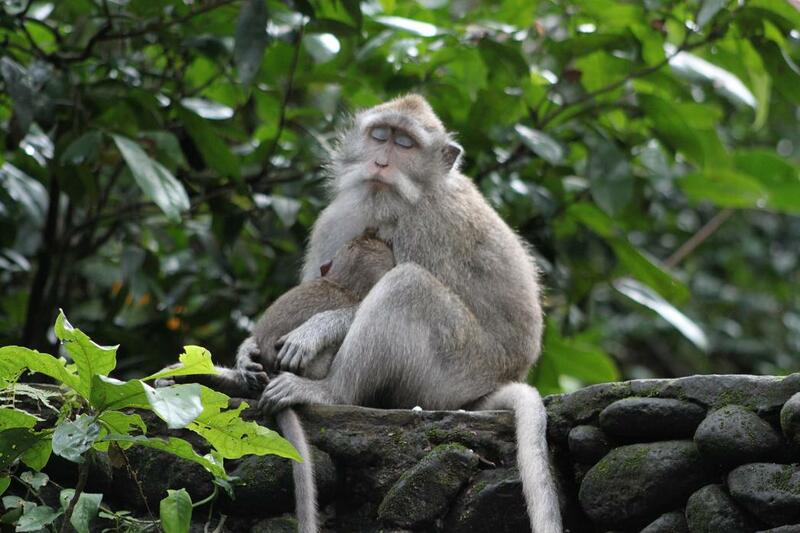 They pose no serious threat since all the Balinese traditional rangers always keep them well-fed, so that people can watch their funny social interaction behavior closely, including this mother who breastfeeds her baby while catching some sleep (due to sleep deprivation, I guess?). 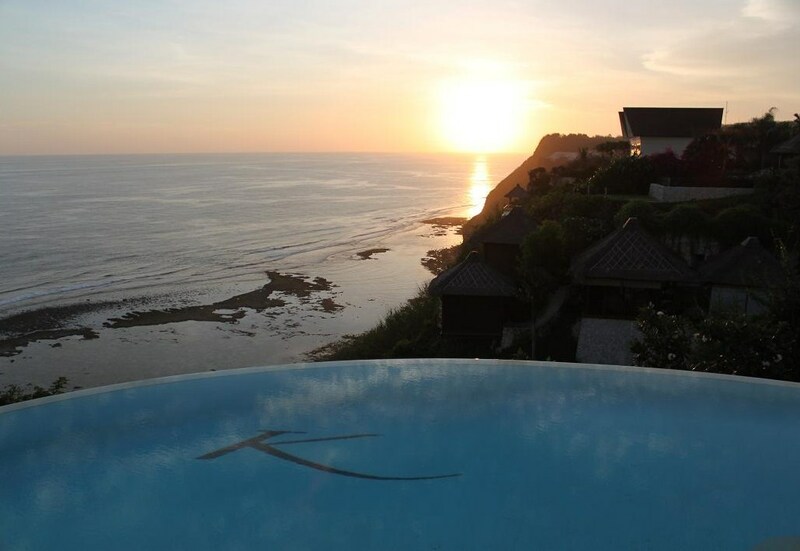 Watching sunset while relaxing in a pool on a cliff facing the Indian Ocean. Sounds honeymoon-y or dolce far niente? Well, it does for me. After a constant stress at work, this place at Uluwatu, Bali undoubtedly makes a perfect escape to relieve mind, body and soul. Truly a dream holiday! I was walking in a botanical garden in West Java with a tele-lens attached to my camera when suddenly I saw a group of children walking together toward me. I took a quick snap at the boy who walked in the front and later realized that he actually looked back at me. I wonder what he thinks at that time. Or maybe he simply ignored me right away and continued eating that roasted corn on his hand. 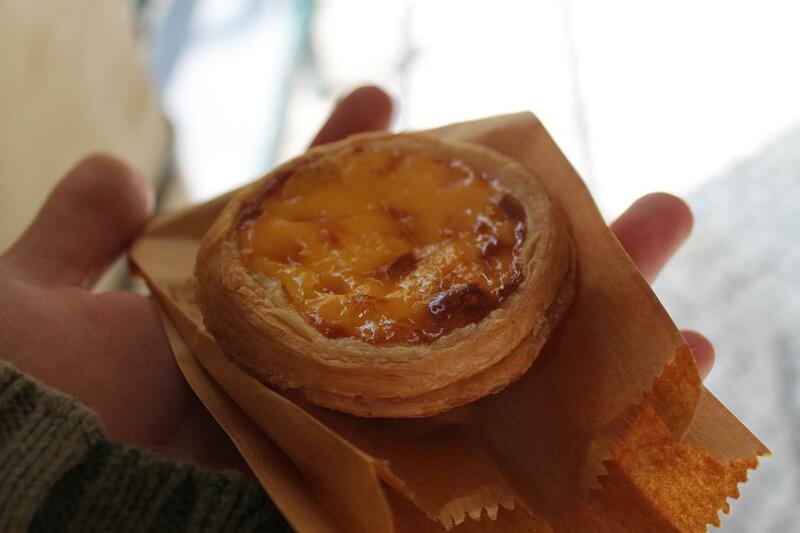 One is never enough, for Macanese egg tart (pastel de nata). Thin crispy layers of the crust perfectly hide a melt-in-the-mouth heaven that lies inside. It was a superb way to end my trip to Macau, indeed (and also makes me wonder how the Portuguese egg tart tastes). Borobudur as the world’s largest Buddhist shrine is an invaluable treasure for mankind and civilization. 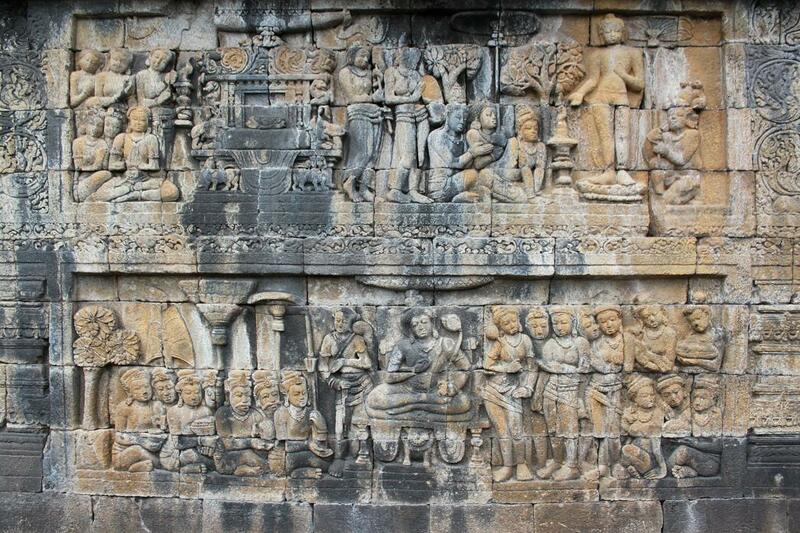 Over its walls, meticulously carved in Mahayana style the life of Buddha from his birth until his enlightenment. Immerse yourself slowly to every part of its four cardinal-direction-facing walls and follow the story of Buddha. This is the most challenging category for me since I have to choose one shot that ‘worthy of National Geographic’. However I did come with this choice since I don’t recall reading a lot of posts in the blogosphere which cover the story of this quiet corner of Southeast Asia, Brunei Darussalam. 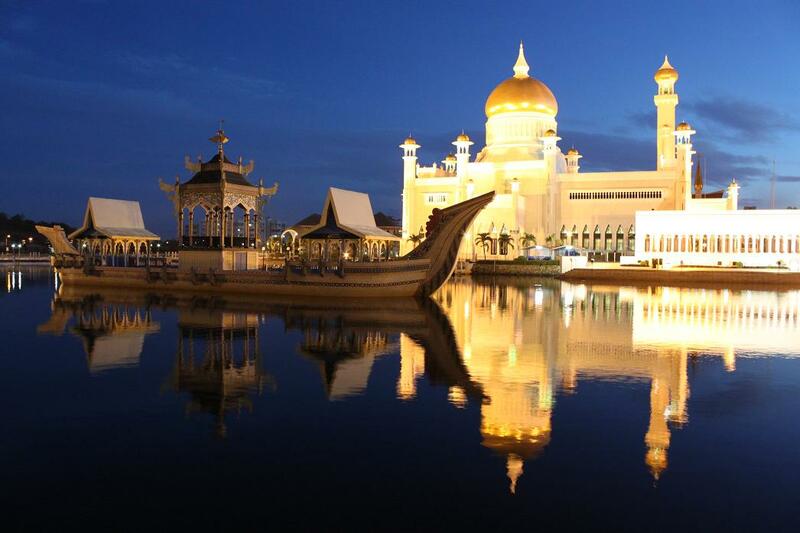 Sultan Omar Ali Saifuddin Mosque is the most prominent building in the Bruneian capital, Bandar Seri Begawan and visible throughout the city. But I decided to go there at 5 am to catch the sunrise over the sky of this tiny nation. Combined with the calm water of the pond which is located beside the mosque, a serene sight was captured through my camera lens. All photos are definitely AMAZING! They did spoke to the name of your blog — WHAT AN AMAZING WORLD! Thanks Sony! I really appreciate it!!! I love your picks Bama! That picture of the boy is a great capture – there’s so much expression in his face – really does make me think about what he’s thinking. Thanks Mark! When I took that picture actually I was quite far from him. But somehow he managed to look straight to my camera and gave that expression. I would have chosen the little kid with the yellow shirt as the National Geographic shot but they’re all good. Well done! Thanks Jeremy! Actually I found picking which photo fits into which category quite hard. But I guess I got your point. That’s an amazing set of 7 shots! They’re all full of stories. Love your photos. My fav is the last one! It really looks like the ones on Natgeo, so cool! These are some impressive shots! I love the diversity in your selections . Thanks Joshi! I also like that picture because the eyes of the kid tell something that makes me wonder. Thanks Lu! Can’t wait for your collection! Btw it seems like you had a really great time in Seychelles. Looking forward to reading your stories! 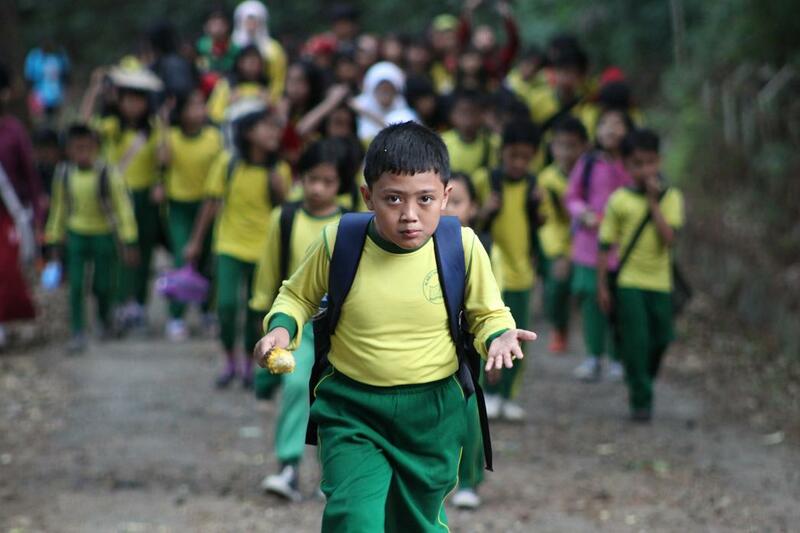 I love the picture of the schoolchild with the intense eyes in West Java. LOVE. Some nice shots – REALLY liked the photo of the young boy – looks like a natural-born leader. Thanks! Actually a natural-born leader fits perfectly with my impression toward him. Those eyes definitely tell that. love your photo of Mount Bromo. when i get to visit indonesia i would definitely trek this mountain and witness the marvelous sunrise. Thanks for reading! 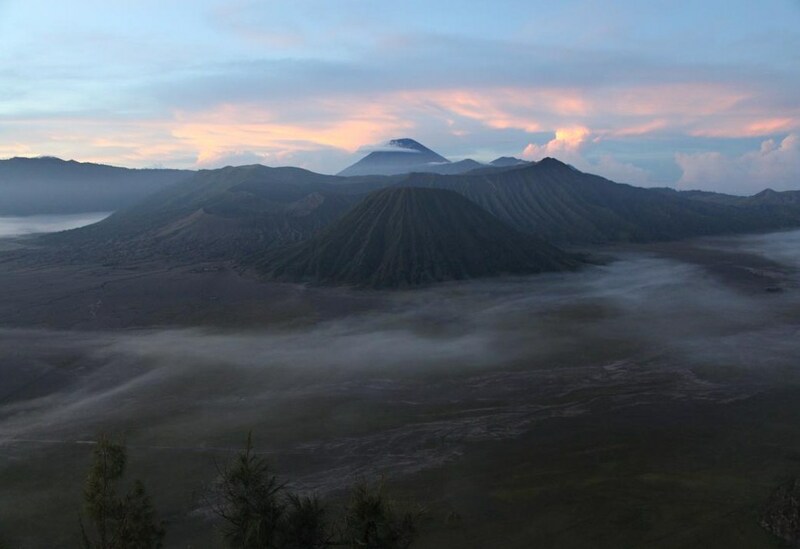 Mount Bromo is the place to go to understand how volcanoes shape the life of Indonesian people. Did you also check my post on Bromo? You can find more pictures of this place there. The placing of lights at the mosque, the water, the boat… all seems so still and unrealistic reality ! Thanks Ndu! Those are also some of my favorites. Cool blog…Like the photos and your zest for life! I love your photos. Your adventure is wonderful. I especially liked your story about the monkeys. Then I saw your photo of the boat (the National Geographic shot); the picture is Amazing! That is definitely a money shot! Wow. You should be very proud. It is that good!!!!! All of your photos are great, but I can see why you are most proud of that one. I love your work. Thanks for sharing. I can’t wait to see more! Thanks a lot!!! I surely will never regret my decision to wake up very early at dawn that day and walked the empty streets of Bandar Seri Begawan to get that picture (after a disappointment the previous day when the sky was murky). Thanks for your support! You are welcome. I hope you enjoy what I have to offer. I look forward to following you and your adventures. First look at your blog and I love your pictures ! Lovely photos! Yes, that last one is worthy of National Geographic. Great shots! I love the little boy in the school uniform. Also great blog, you’ve found a new follower! Thanks Jennifer! I really appreciate it! Thanks Vi! Yours are also great! Love that last shot! She does Bama…and so in the moment. Thank you, Patricia. I’m glad this post inspired you as much as others have inspired me to pick those seven images.